When a pregnancy goes postdates and lasts beyond the 42nd week, the size of baby, integrity of the placenta and the possibility of baby having a bowel movement in-utero are all of great concern to the attending obstetrician. The normal gestational cycle will often end between 37 to 42 weeks of the pregnancy (3 weeks before and 2 weeks after the due date). In women who have not given birth by the 42nd week, the pregnancy will be termed a post term pregnancy. When a pregnancy lasts beyond the 42nd week, the size of baby, integrity of the placenta and the possibility of baby having a bowel movement in-utero are all of great concern to the attending obstetrician. Why Do Pregnancies Last Past 42 Weeks? It is usually the baby that initiates labor. In most cases there is no known reason why pregnancies last more than 42 weeks. Many doctors believe the miscalculation of the due date contributes to woman appearing to gestate beyond the 42nd week when they are actually not that far along in the pregnancy. While the uterus is the perfect environment for baby, the placenta and womb are only meant to hold baby for 40 weeks. After the 40th week, the placenta begins to age, the oxygen supply to baby may decrease, the baby may gain too much weight to be born vaginally and the chance of infection increase dramatically. The placenta is the source of nutrition and oxygen for baby. After the 40th week, the placenta will begin to age and not transport nutrition and oxygen as effectively as in the previous 40 weeks. If the baby does not have the proper nutrition or oxygen supply, health and weight issues may occur. On the opposite end of the spectrum, if the placenta maintains good health, the baby will continue to gain weight for weeks 41, 42 and beyond. The larger baby becomes, the more likely a c-section will need to be performed in order to birth the baby. Large babies are at greater risk of oxygen deprivation during birth, becoming stuck in the birth canal, and causing damage to mom during the birthing process. As the baby grows, they pass waste from the body into the amniotic fluid and then reabsorb this fluid. As the fetus ages past the 42nd week, the chance of the baby passing a bowel movement increases greatly. If baby were to have a bowel movement while still in the amniotic sac, the waste would then be inhaled into the body risking the baby’s life. Is Baby Healthy After 42 Weeks? Counting of Fetal Movement – the number of movements and kicks of baby will be measured and recorded to establish the health of baby. Non-Stress Test – During the non-stress test, mom will have a fetal monitor placed on the womb. The monitor will keep track of the babies heart rate during non-stressful times. A reactive nonstress test is an indication that the baby is doing well. Ultrasound Testing – When you go postdates many doctors will order an ultrasound to check on the amount of amniotic fluid. 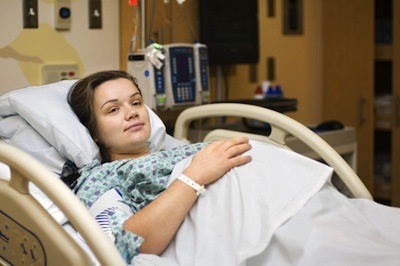 A decrease in amniotic fluid may indicate a potential problem. measure the size of baby, establish the health of the placenta and track the activities of baby in-utero. Doppler Flow – The Doppler flow test will record the sound of the blood flow to the baby. This test will tell doctors how well the blood is moving to and from baby, though it's done rarely these days for postdates..
Post term pregnancy is a condition that occurs in nearly 10% of all pregnancies. While most post term pregnancies are simply a miscalculation of due date, others are a reason to actively pursue labor.